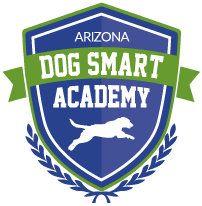 Dog Agility Training at AZ Dog Sports! Whether you are interested in Dog Agility Training Classes because you would like to make a competitor out of your dog, or you would like to have fun with your dog in a Dog Agility Class…here is where you start! We now feature portable, light weight agility equipment for your home from Agilite. On sale now! The skill level of the below agility classes do vary so please call facility at 602-237-6775 for any questions. ALL HANDLERS IN AGILITY CLASSES MUST BE AT LEAST 10 YEARS OF AGE. Join us for having fun with your canine companion running through tunnels, tires, over a dog walk and a teeter. If you and your four-legged team mate want to continue with agility after this class, we can direct you to our continuing classes. You may want to compete or just practice your skills, but we have classes for every level. 6 weeks recommended for agility classes. Needed for first class: Buckle collar and harness, really great treats (bring chicken or leftover steak), bowl for water (water provided), your enthusiasm, your dog. Dogs and handlers must have approximately 1 year of agility experience, know all obstacles, be able to do 6 weaves, and run courses off-leash. This class includes drills and handling skills. 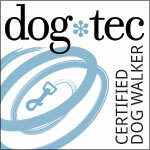 The emphasis is on the handlers execution of a variety of courses. Dogs and handlers must have approximately 2 years of agility experience and be currently competing. The emphasis is on the handlers execution of a variety of courses and developing speed and accuracy.